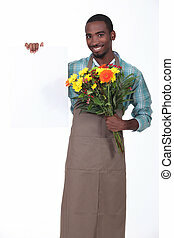 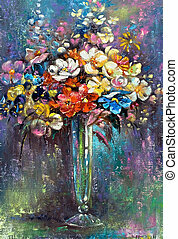 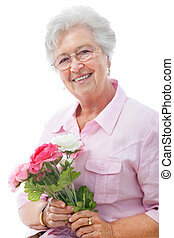 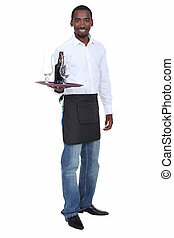 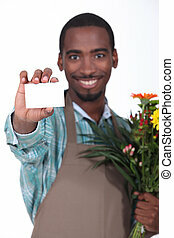 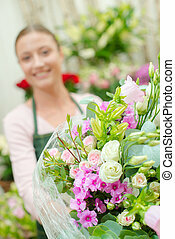 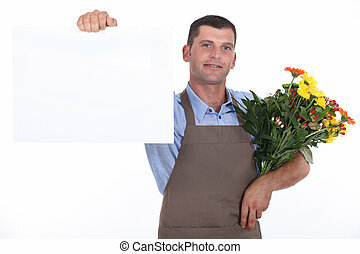 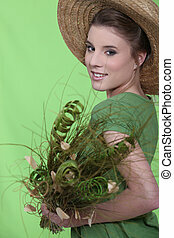 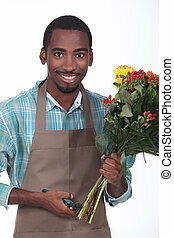 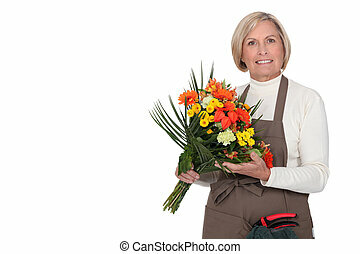 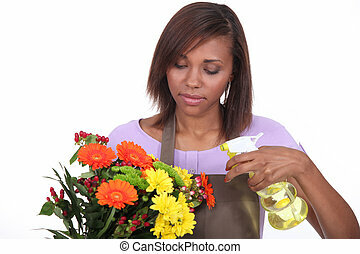 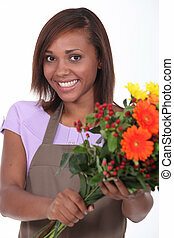 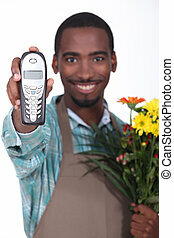 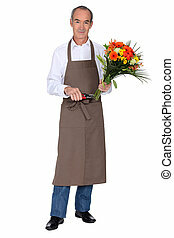 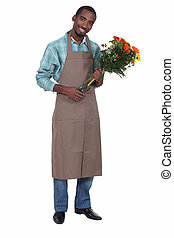 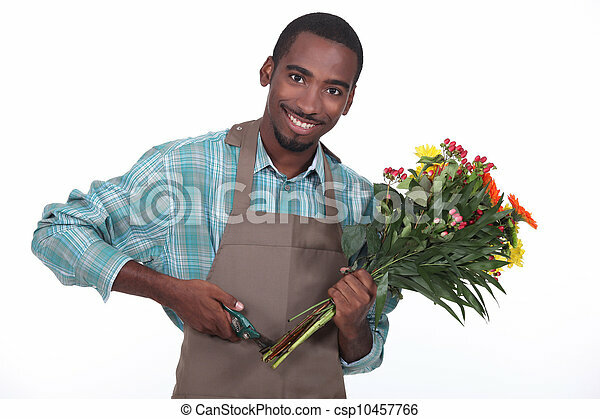 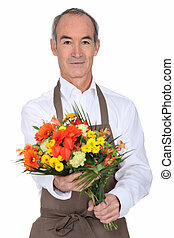 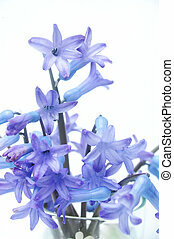 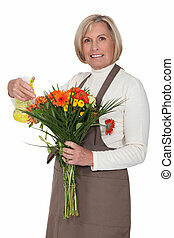 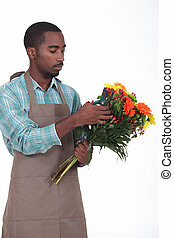 Male florist with a bunch of flowers. 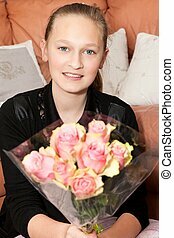 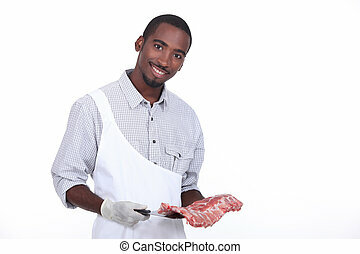 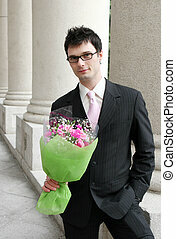 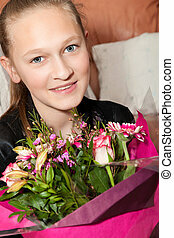 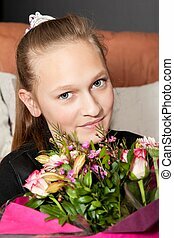 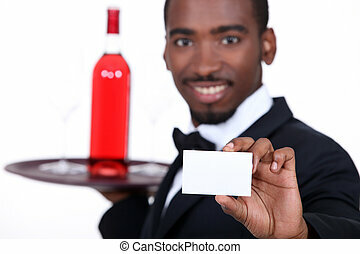 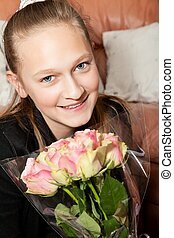 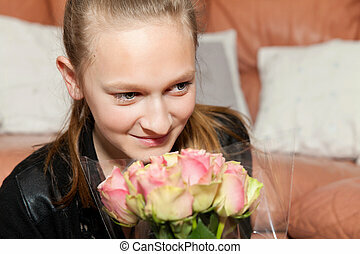 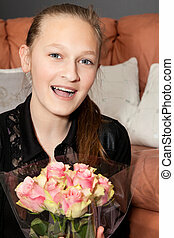 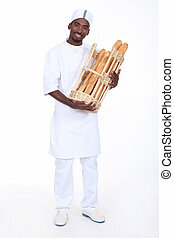 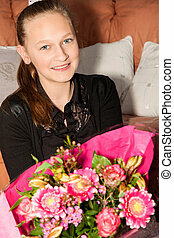 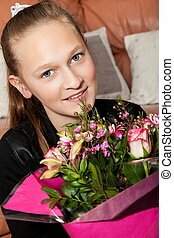 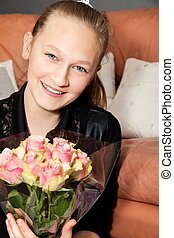 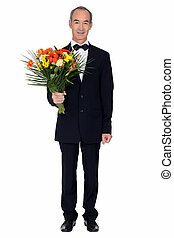 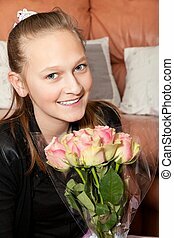 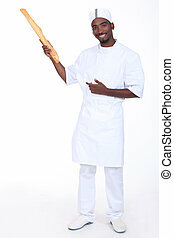 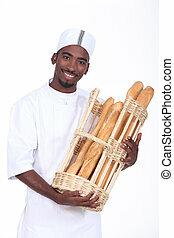 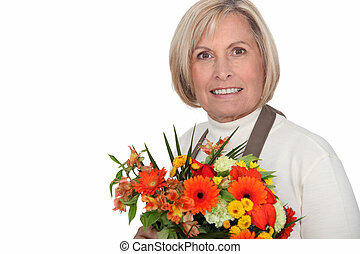 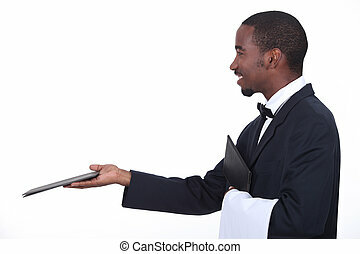 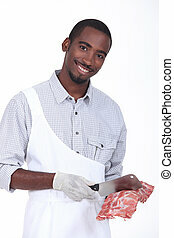 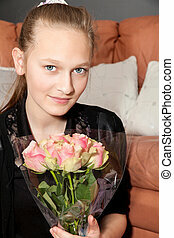 Young businessman with a bunch of flowers. 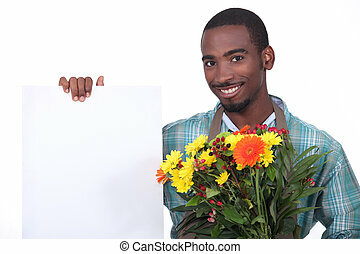 A couple with a bunch of flowers.